President Trump announced that he has accepted a bid on a wall that would run along the Mexican border from the German company that built the Berlin Wall for the GDR back in l961. According to aides to President Trump, the Mexicans will still be fronting the money, but the president wanted to make sure that if he was going to get another country to pay that they would be getting the best bang for their buck. Much discussion has gone into the question of what such a wall would be called and after days of deliberation a bipartisan group of both Mexican and American legislators have decided to call it The Trump Wall. Travelers coming either from Mexico to the United States or traveling South from the United States to Mexico will be greeted with large neon signs visible from miles way with the familiar Trump logo, in place of the usual welcome to the United States or Mexico. When Chris Matthews of MSNBC asked President Trump whether choosing the builder of the Berlin Wall would excite comparisons to the Cold War, Mr. Trump reiterated an earlier controversial statement that women who have abortions should receive "some form of punishment." A White House spokesman commented, “All along people have told President Trump that this was impossible, this was not gong to happen, but now it’s going up right before our eyes and after the whole thing is finished we're planning on buying it back for the same 25 bucks that Peter Minuit paid the Indians for Manhattan. We'll turn the whole thing into a casino. 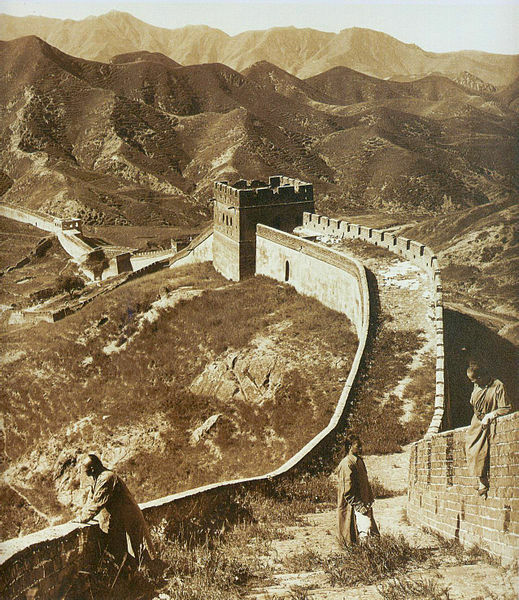 The president is convinced that his wall will make the Great Wall of China look like chump change."